When Ivy Everton, a children’s book illustrator, moves to Cornwall to start a new life with her husband Stuart, she gets given her mother’s old writing desk, a bittersweet token from a mother who made childhood magical. When she clears it, she finds that the desk holds an unexpected surprise; one she wishes, in a way, that she hadn’t found, as wedged in the corner is a blank, faded postcard addressed to her, in her mother’s hand. At first, the postcard serves only to haunt her; a constant reminder of her mother’s last message, now forever silenced, and she can’t help but wonder what unwritten secret lies unsaid. Yet, as the days pass mysterious inexplicable things begin to happen, odd items go missing from her studio, only to reappear, ethereally transformed in the seemingly empty desk. I kindly received The Postcard in exchange of an honest review by the author. "Five years ago, after she passed, I believed that I'd never stop. A friend had told me that 'time heals all wounds.' Time, couldn't heal this type of wound. Death is not something you get over. It's a rip that exposes life in a before and after chasm, and all you can do is try to exist as best you can in after. Time could only really offer a moment when the urge to scream would become a little less." After living many years in London, which has been very exciting but also tiring, Ivy Everton decides to go back to Cornwall to start a new life with her husband Stuart. Ivy is a successful children's book illustrator. Cornwall is a fresh start with her first ever art studio in the attic. She is planning to finish writing and illustrating her first solo childrens book there. Who believes in the inexplicable, in magic? mysterious inexplicable things begin to happen. Things have gone missing, only to reappear in her desk. Is her mother trying to tell her something? 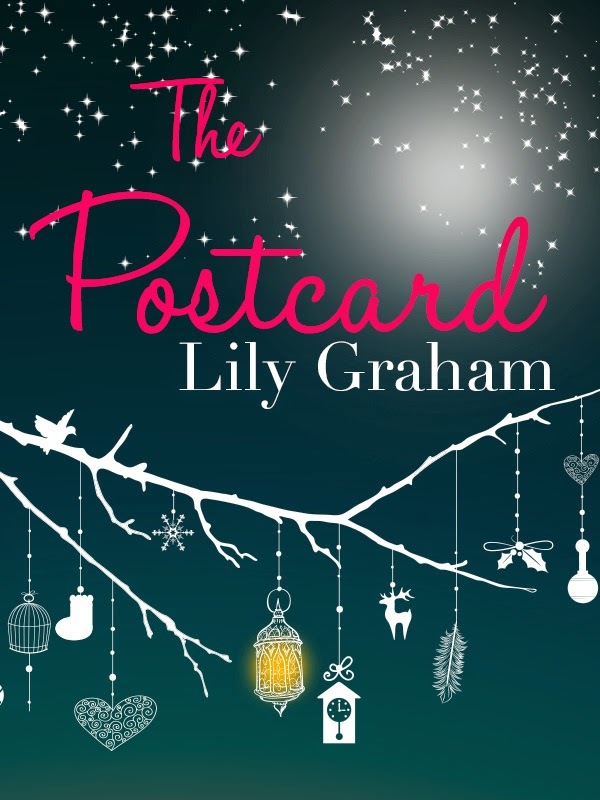 Soon Ivy realises that the postcard was never really blank, it was simply waiting … waiting for her to find it and this is where a part ghost story, part magical Christmas tale about a love that transcends time and space to transform and heal begins. This novella was a quick but touching and entertaining read, and a wonderful introduction to Lily Graham's work! I rarly read a more beautiful and unique writing style than hers. The Postcard is one of those hidden gems you must try. I was really curious and excited to read it because the blurb already told me it's partly a ghost story. This topic has always fascinated me and I couldn't wait to see how the author would deal with it. Thankfully, Lily Graham did a brillaint job. The Postcard involves heart-warming charatcers who you feel with, a remarkable storyline with a twist. I really enjoyed it and already look forward to hopefully reading and reviewing more of Lily Graham's work in the future!